Here is how we help our buyers - free! By understanding your wants, needs and of course your timeline, we can create a plan of action. You can rest assured, knowing we have a team ready to help you find the perfect home, at the perfect price. Upon request, we can connect you with a lender/ mortgage broker who suits for your needs. By getting pre-qualified, you can establish a reasonable price range to shop within. You get full access to our private on-line network of properties that fall in your price range. With our home finder service, we notify you as new listings become available. You can access properties on-line at the same time other real estate professionals do. We can help to narrow down properties to view, and arrange showing appointments at a time that is most convenient for all. When there are changes to your search criteria or changes to one of the listings, you receive immediate e-mail notification. A member of Rob's team can show you the homes as soon as they become active on the market. Most people list their homes expecting to negotiate. Rob is an expert negotiator with 30 years experience. We can assist you through the entire buyer experience making sure you have all the information at hand to make the right decisions. You get the best purchase price for your new home. Through our strategic alliances, we can offer you reliable and professional contacts with local lawyers, movers, mortgage brokers, appraisers, builders, and other skilled experts to help you find and secure the new property for your family. 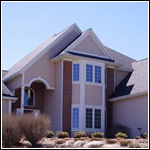 As part of your transition into a new home, we will coordinate all required services. That makes your part a whole lot easier. Contact Rob today for your FREE consultation. We're here to make your home buying experience a truly satisfying one!